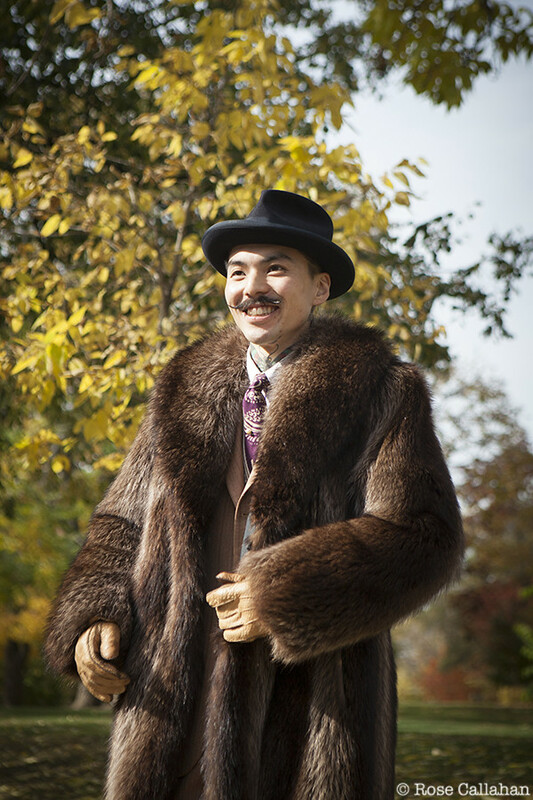 After I met Yoshio Suyama (pictured here in his raccoon coat) in New York last year, I got curious about what other dandies might be hiding up in the Great White North. Well, Toronto, you did not disappoint! 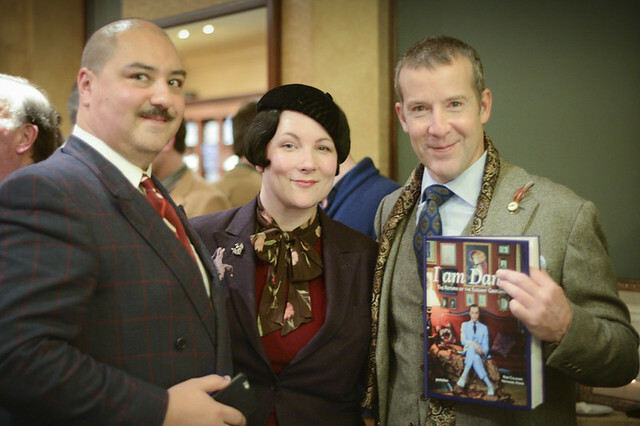 I made portraits of five fantastic subjects, and was the guest of honor at an I am Dandy book party hosted by Loding Shoes & Shirts and The Hogtown Rake blog. All in under two days. Phew! 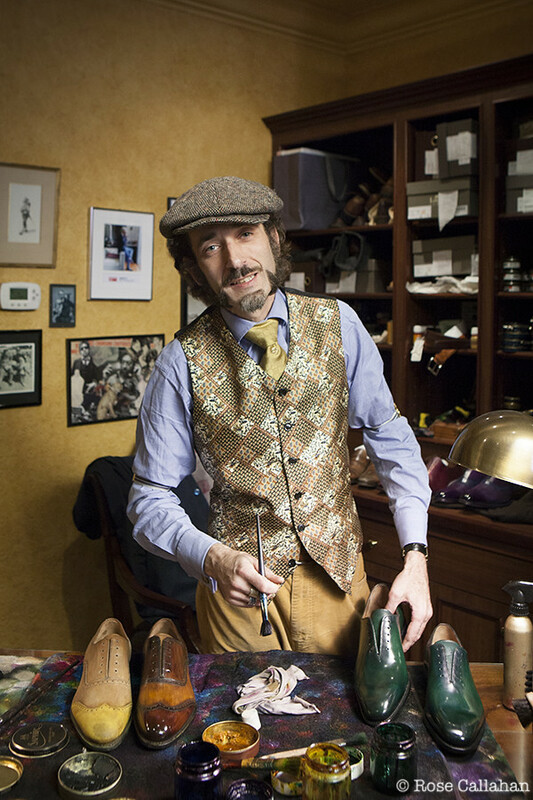 When I knew I’d get the chance to visit and start shooting for the follow up book to I am Dandy, I contacted the man with his ear to the ground for Toronto menswear: Pedro Mendes, creator of The Hogtown Rake. 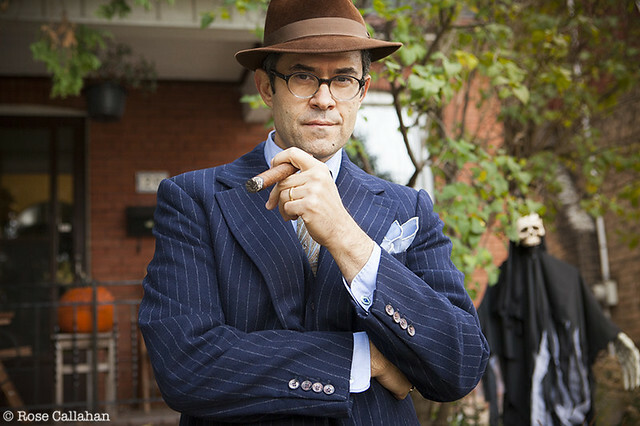 Here he is in his front yard all prepped to scare the neighborhood kids on Halloween, looking quite debonair puffing on one of his beloved Cuban cigars. 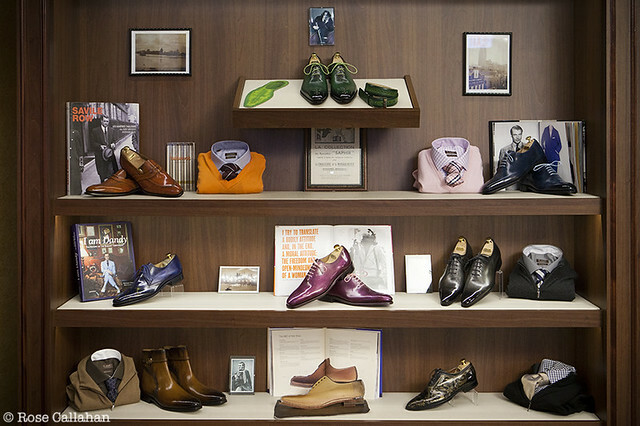 Pedro suggested some great subjects, and organized the book party at Loding, a French menswear boutique. I wish all my international travels for this next book will have such gracious and helpful hosts! 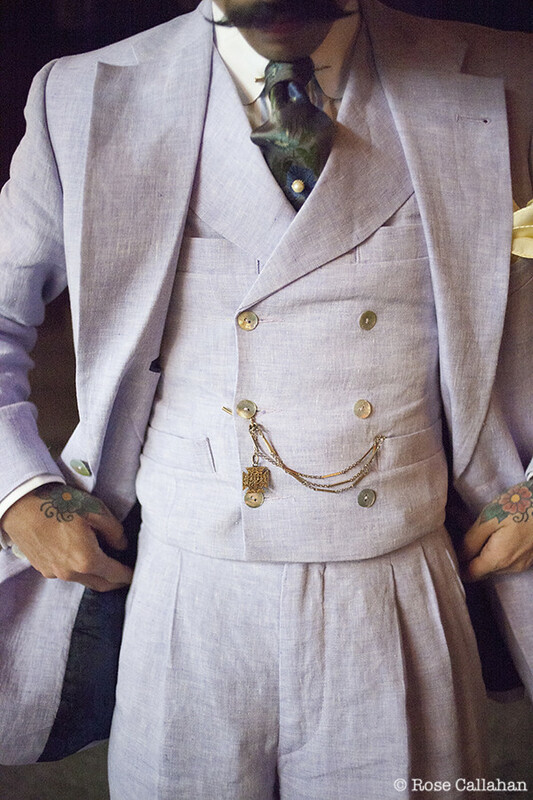 Jonathan Hagey - known as "The Kingpin" - shows off a gorgeous top hat and his wedding suit in his store Kingpin's Hideaway; one part men's vintage boutique, and one part speakeasy. 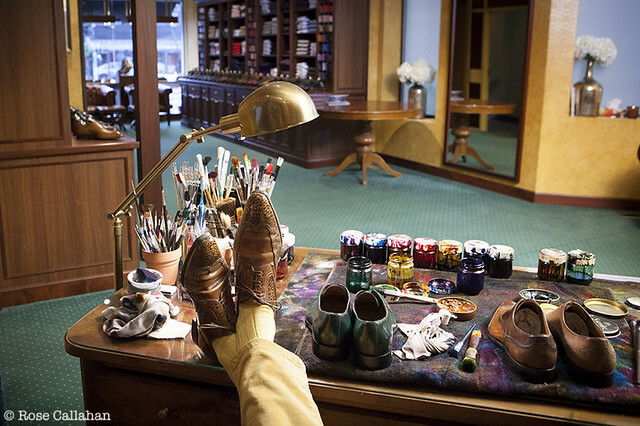 And that brings us to Emmanuel Farré, the brilliant and wildly creative resident patina artist (see the shoes!) at Loding Toronto. 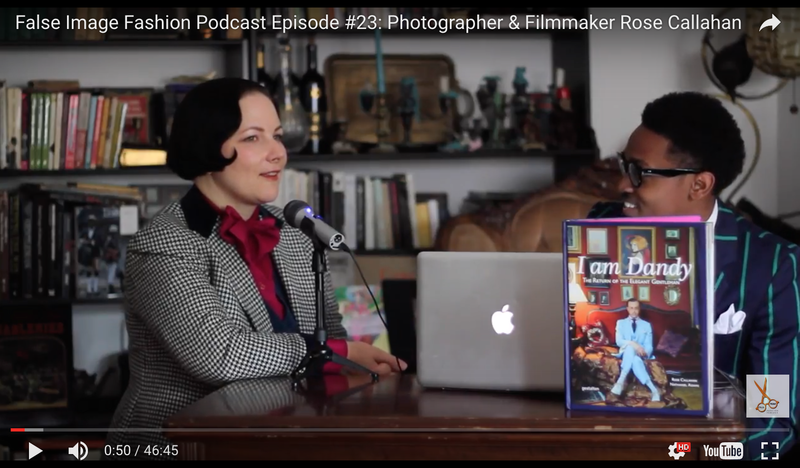 It was a joy to listen to him talk with his wonderful French accent about the passion he has for his work. 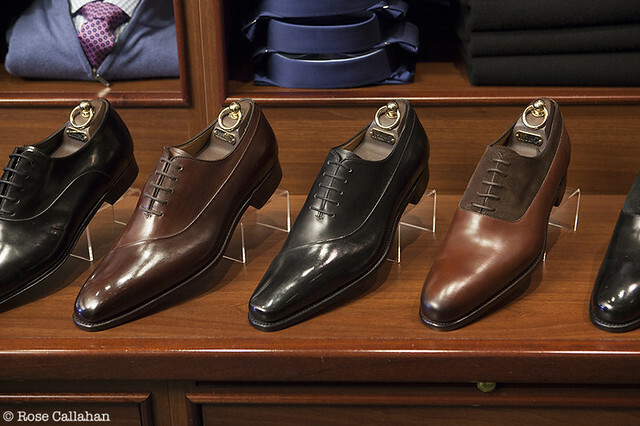 One pair can take upwards of forty hours of work! The pair you see on the left shows the before (with yellow cap) and after, which has the illusion of hard wood. But he will not stop there, I guarantee it...just you wait. 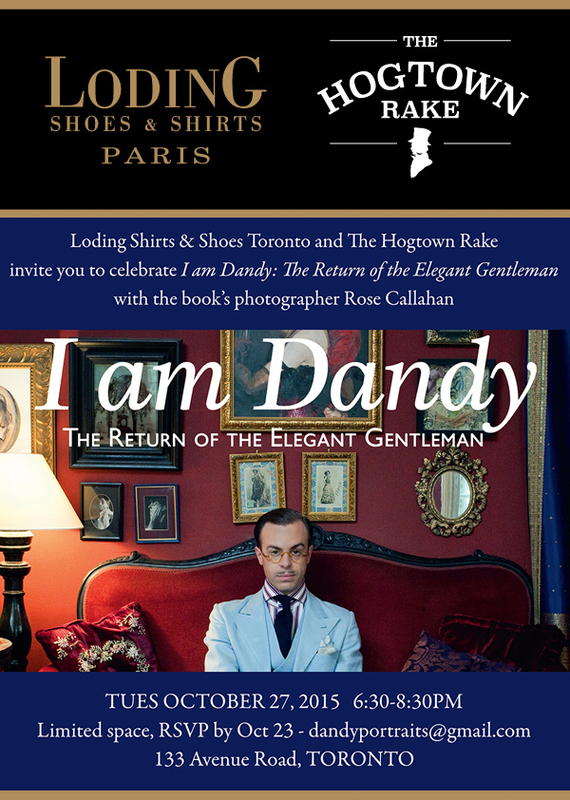 Later that night Loding hosted a wonderful soireé to celebrate I am Dandy and the new book project. 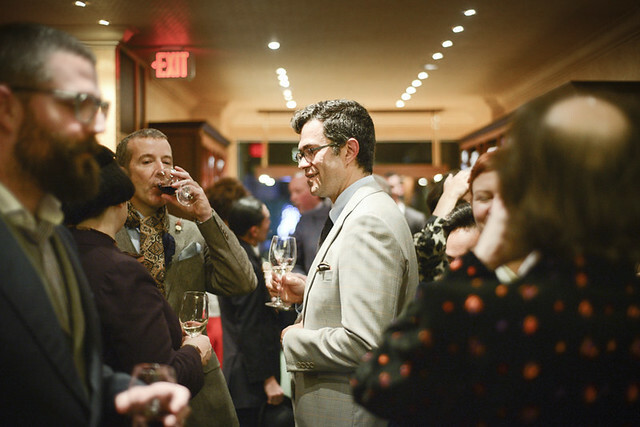 It was a warm gathering of the best and the brightest in Toronto: artists, menswear aficionados, journalists, actors, an opera singer, and of course sharp dressed ladies and gents. 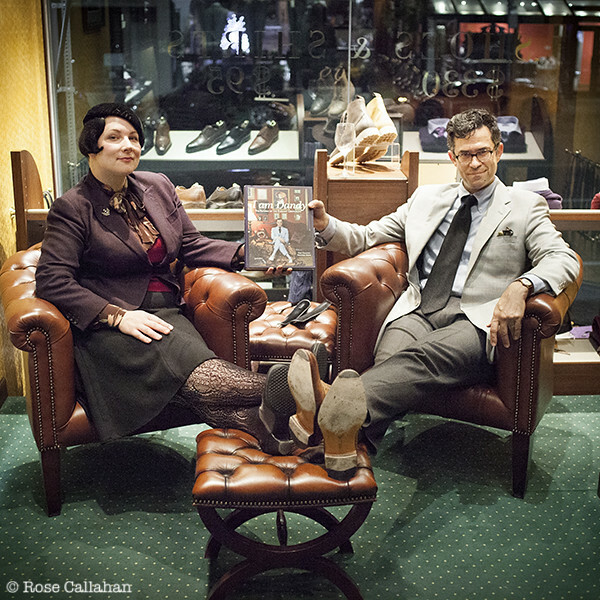 The Hogtown Rake posted about our evening as well with more photos. 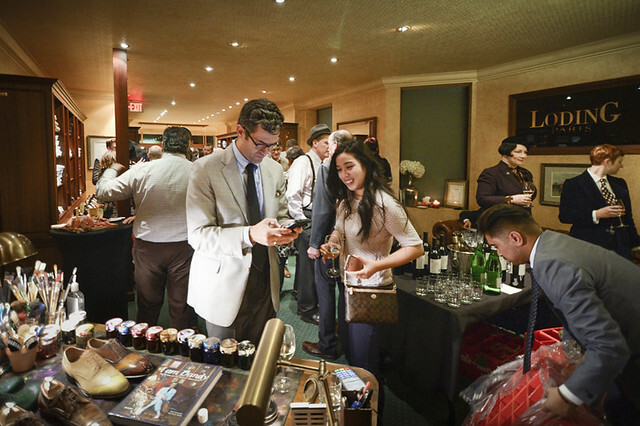 Thanks to sponsors Kenwood Vineyards and Cheese Boutique for exquisite wine, cheese and charcuterie. 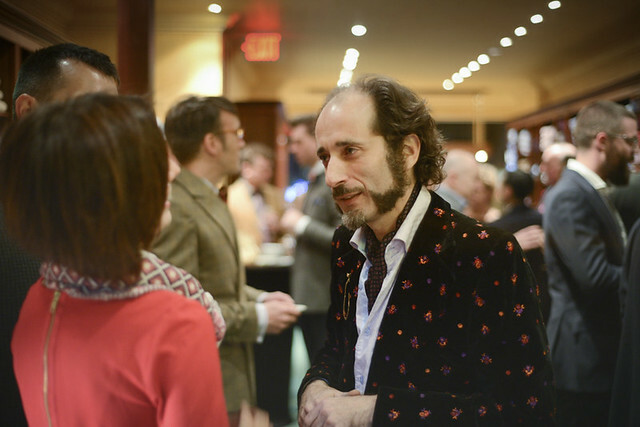 Photographs of the party by Farhang Ghajar. 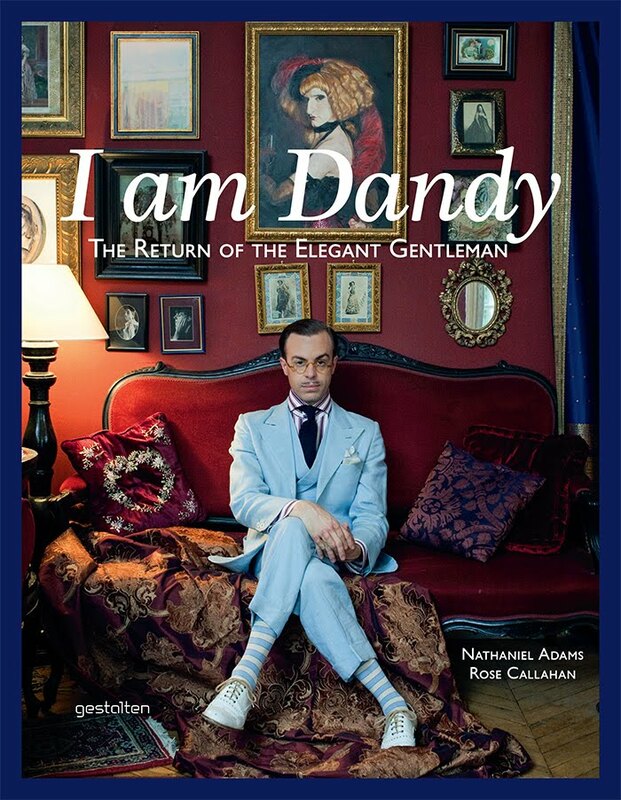 That's actor John Jay the winner of the I am Dandy book giveaway. He also makes these cool lapel pins at Hook and Furl. 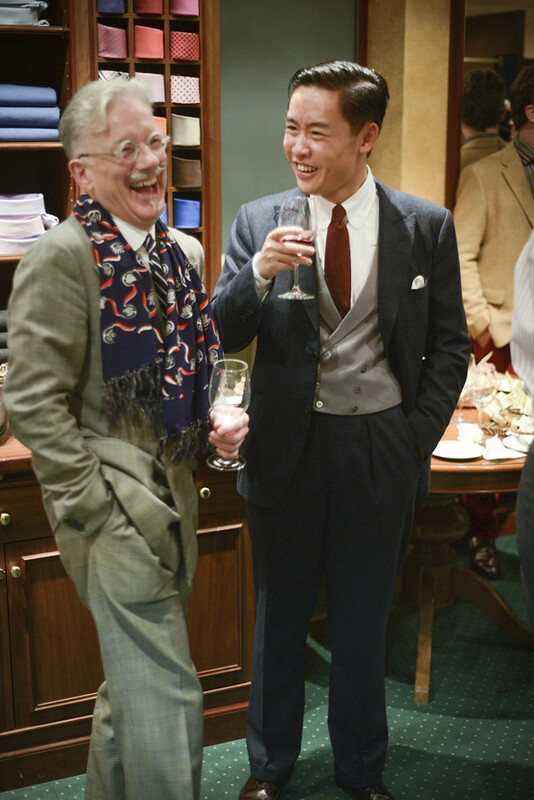 My husband Kelly (left) was very excited to find out he was Rocky the poet from Jeeves and Wooster! 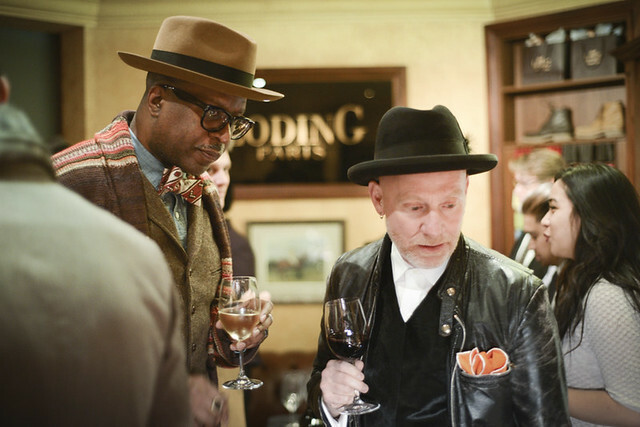 That's artist Gordon Shadrach on the left. He creates some incredible menswear inspired paintings. 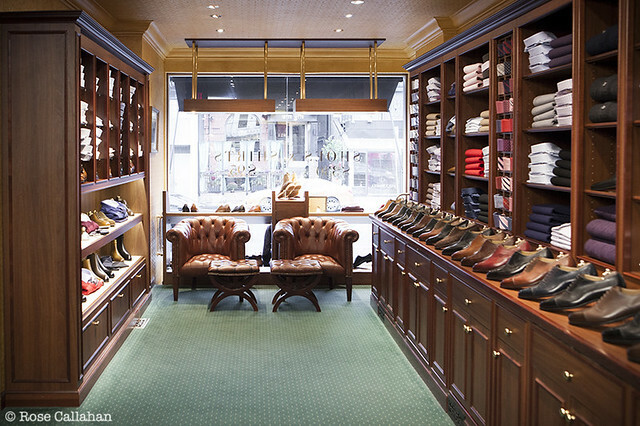 Here are Emmanuel Farré's leopard spotted shoes on his throne/palette, and a few more shots of the Loding boutique at 133 Avenue Road in Toronto. 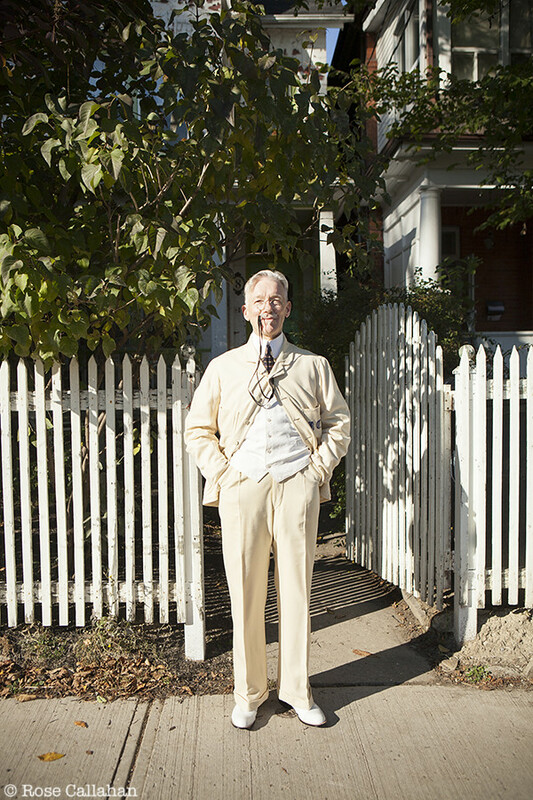 and blog The Hogtown Rake. Space is VERY limited, so if you would like to join us you'll have to email me by Oct 23. It'll be my first time visiting Toronto! 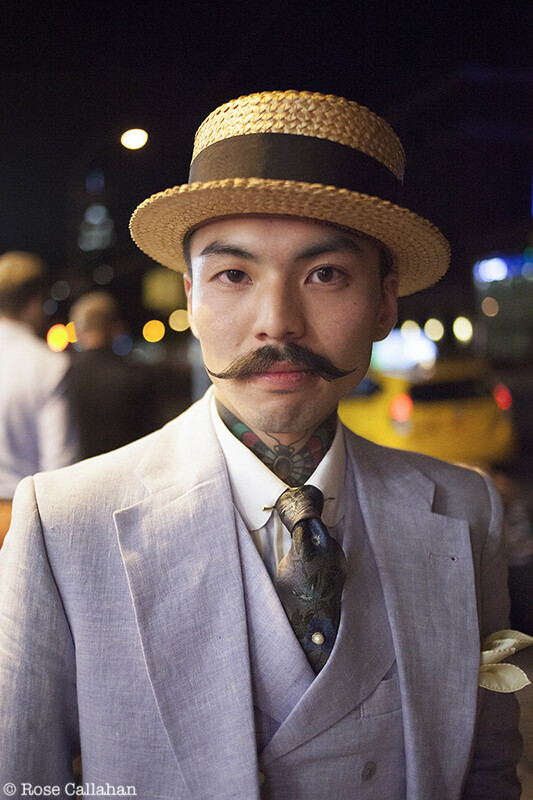 Thanks to Pedro Mendes, the creator of the great menswear blog The Hogtown Rake, I've already scheduled quite a few new dandy portraits while I'm there for a new book project (more to come on that soon). 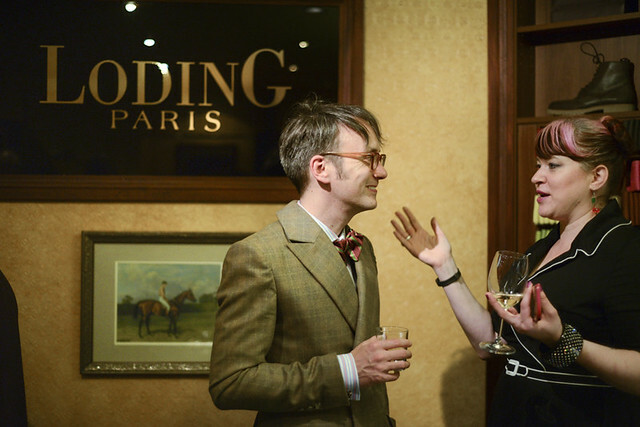 Pedro has been a terrific help in setting up the soireé at Loding, and recommending subjects. 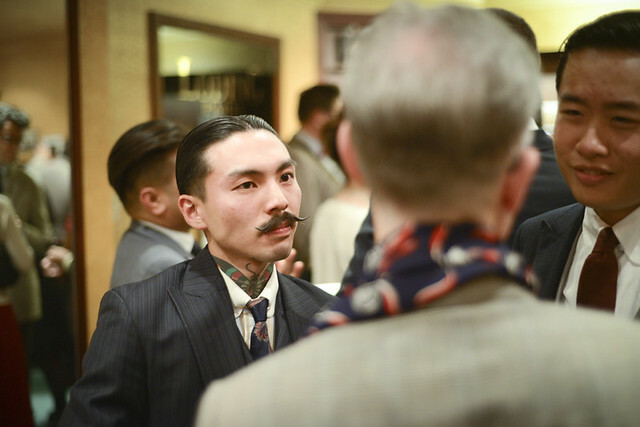 Just look at a previous event he hosted at Loding, and one he covered for the blog at Kingpin Hideaway mens vintage. 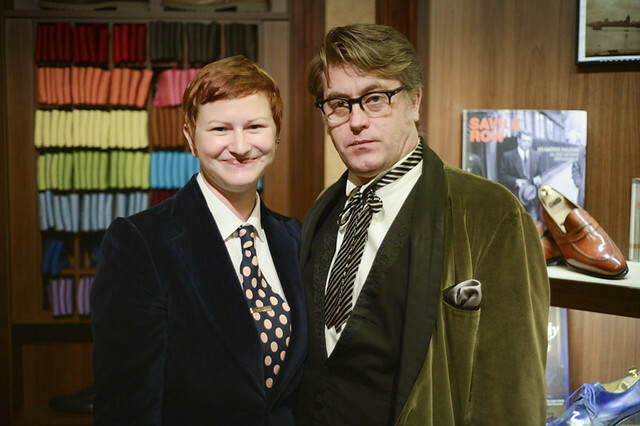 Toronto has some great dressers and I'm very excited to meet them! 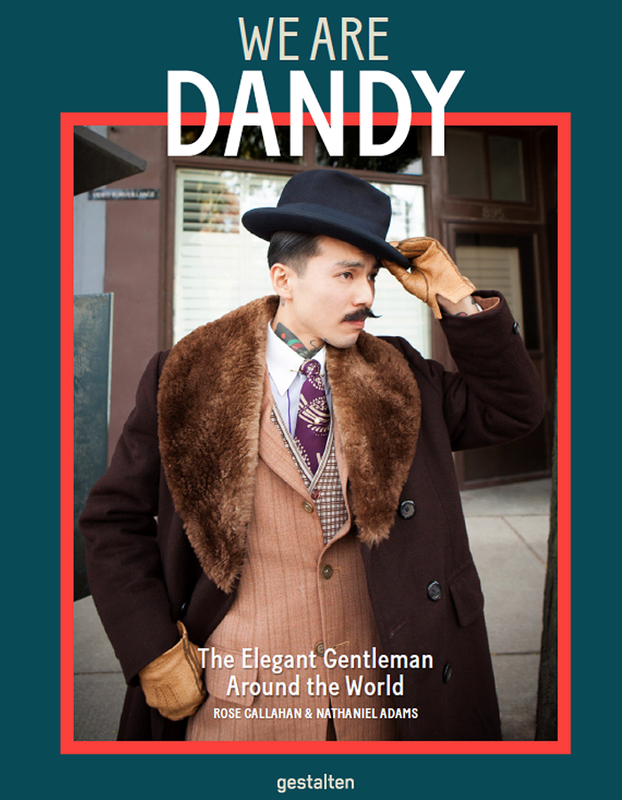 I'll also be the keynote speaker for Genesee Community College's Dandy Day on Oct 28, in Batavia, NY near Buffalo. 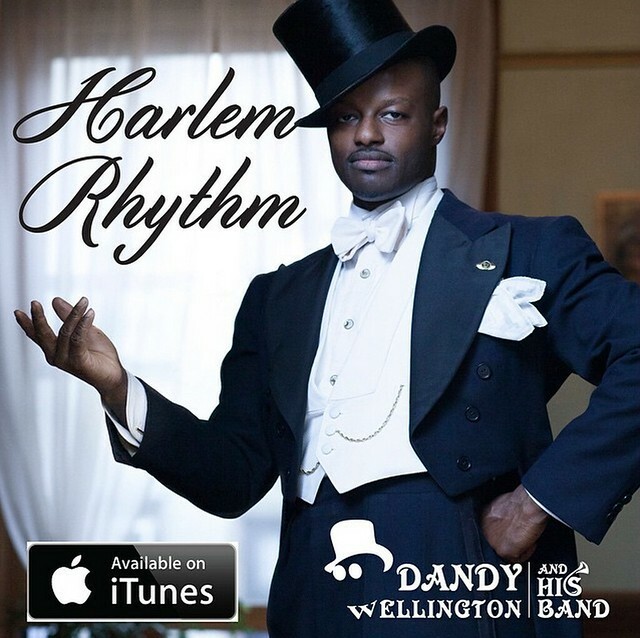 My good friend Dandy Wellington has just released his debut EP "Harlem Rhythm"! The four tracks - three original compositions - are terrific toe tappers. I especially love the title track which transports me to just the best party of my dreams. What I've always loved about Dandy Wellington and His Band is that they create a mood where ever they go. Their jazz seems to make the night a bit more adventurous, the light a bit more dreamy, the dancers a bit more romantic. Now you can create that mood whenever you want - this technology thing is brilliant! 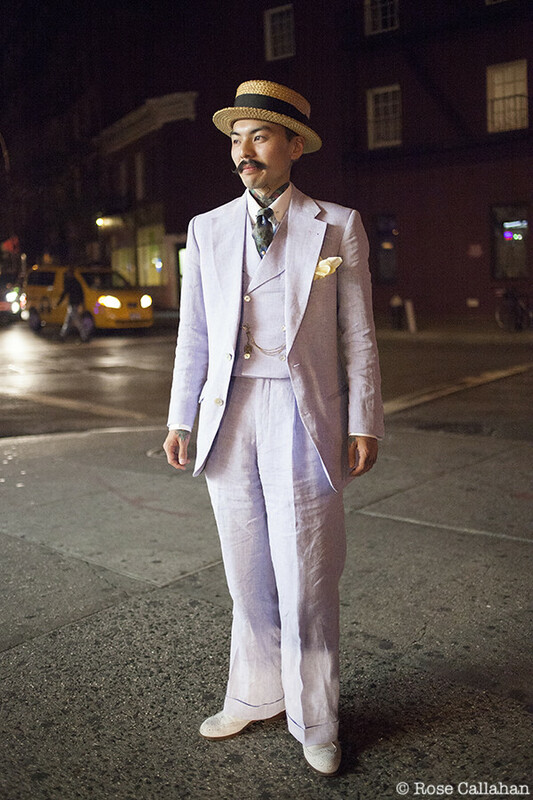 The debut of Harlem Rhythm was also an opportunity for me and Dandy to collaborate on a photo shoot. 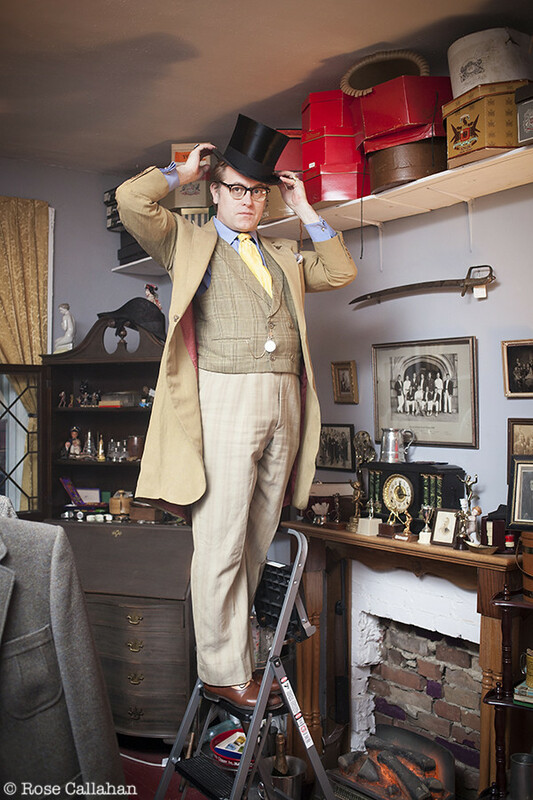 Even though I've photographed him many times over the five years we've known each other, we hadn't done a "proper" shoot since we first met on the original Dandy Portraits shoot we did for Fine and Dandy Shop in 2010! 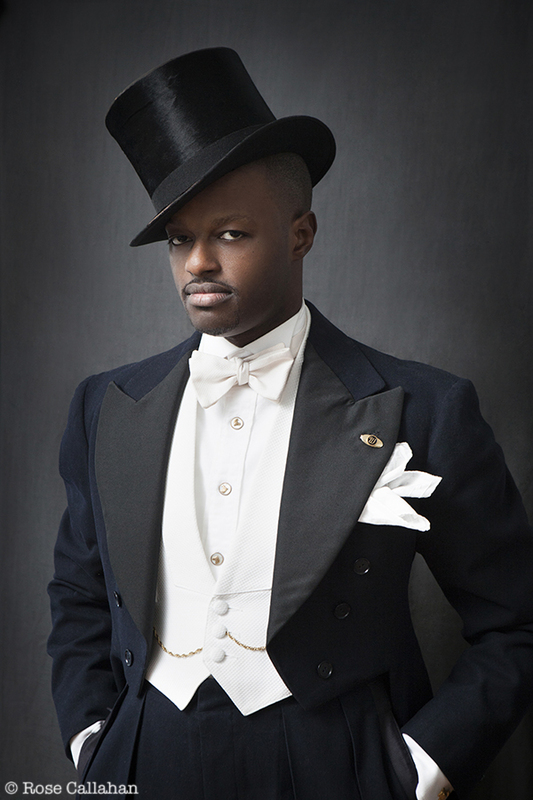 We did a few looks, but this amazing midnight blue white tie and tails was just perfect for the cover. 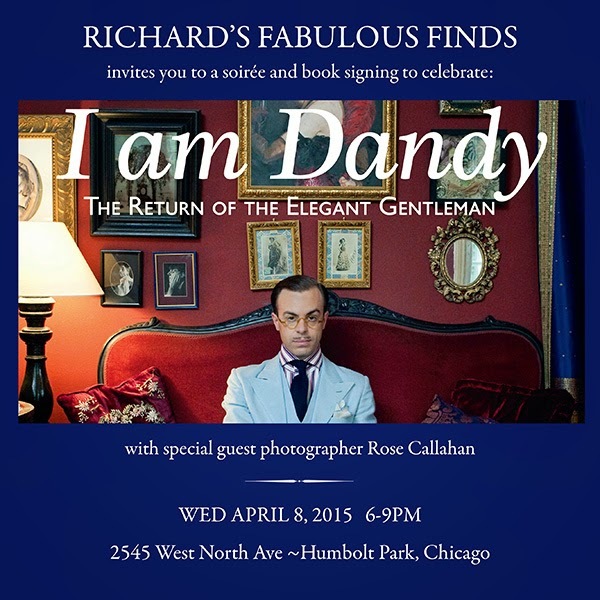 I am Dandy in Chicago! at the Museum of ContemporaryPhotography, on view from April 6 thru July 12, 2015. 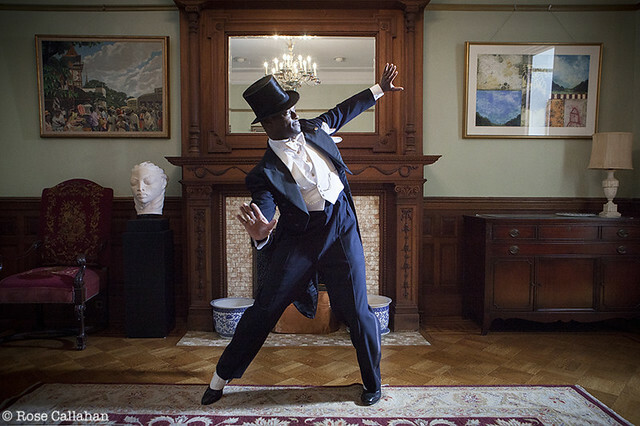 This remarkable group photography exhibit is the brain child of curator Shantrelle P. Lewis, a brilliant mover and shaker who has always been a supporter of the Dandy Portraits. 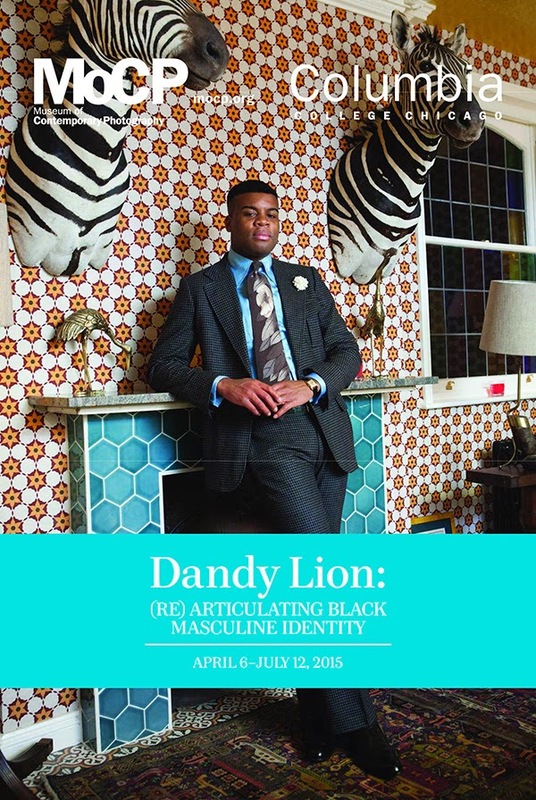 I first met Shantrelle as she embarked on her dandy journey with the original incarnation of the Dandy Lion exhibit in Harlem in 2010. I’ve been a fan of her ever since! 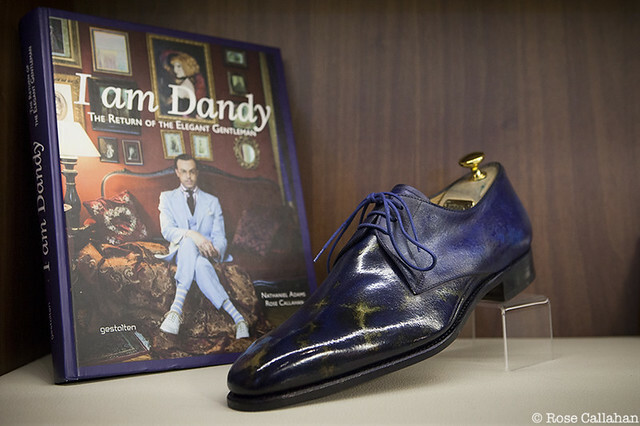 The Dandy Lion exhibit has had many incarnations since, most notably in Amsterdam and Washington DC, and it has only grown and become more relevant. I’m very happy to be exhibiting seven portraits and participating in the symposium for this incarnation in Chicago! 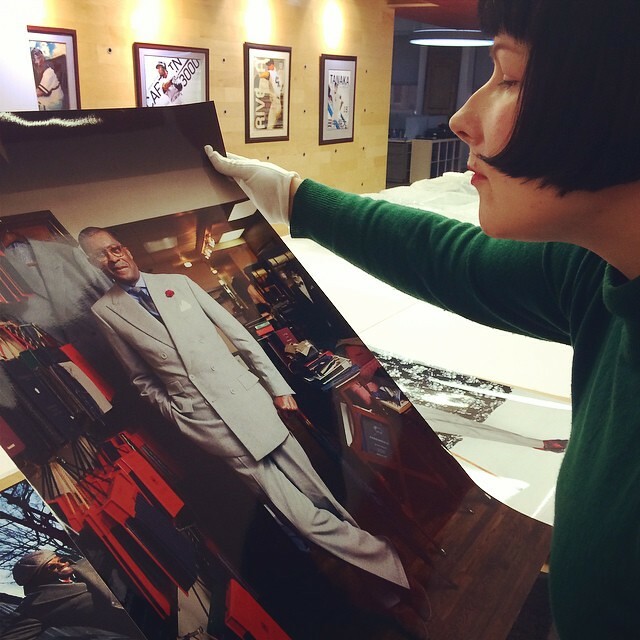 Here I am inspecting one of the prints...of none other than Dr. Andre Churchwell of course!